Shanta Hyche is a professional copywriter and sole proprietor of her own writing company, Shanta Hyche Writes. She focuses on areas of writing, including both content writing for small business owners and entrepreneurs, as well as travel writing. Shanta has an AA in Psychology and is currently studying at Langston University where she will graduate with her BA in May 2019. Today, competition online is fierce. The content on your business website has the power to extend your business’s reach beyond your current customers. Content that is excellently prepared, researched, and purposefully executed propels firms to the top of the internet ladder. Gone are the days when blogging was a hobby only for writers. Today, blogging has a purpose in the business world, too. When utilized correctly, blogging is a useful marketing tool, even for small businesses. 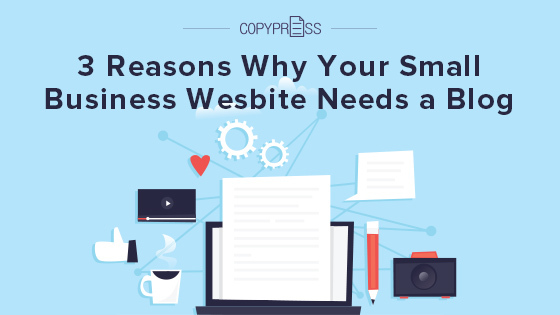 Let’s review three reasons why your business website needs a business blog. Keywords are a great indicator of the language your business speaks. If your business language matches up with your customer’s language, you are doing something correctly. How do you learn your customer’s voice? Keyword research is the answer. Consumers create keywords by consistently searching for information using the same words or phrases. 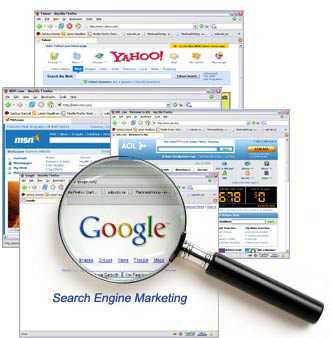 Search engines become familiar with the terms and produce results for the consumers based on matches. The more content you have on your business website, the better the chances of matching words being typed into the search engine by consumers, thus producing higher optimization. It’s essential to be diligent in your approach to discover what your audience is seeking to find. Learning about the needs of your audience pays off. It increases the opportunity for you to produce blog posts that increase your SEO value by using keywords. Keywords are not going anywhere anytime soon. In your business blog posts, strategically linking is essential to SEO. A correlation exists between the number and quality of links to your site and the search engine traffic your site gets on a regular basis. For a small business, this means that more links equal more search engine traffic, which produces more consumers. Keep in mind that all links are not equal. Linking to another source that offers the same service or product as you is helpful with your website indexing. It’s also useful to link to one or two other posts on your site regarding a similar topic. Strategically choose the title and subtitle of your blog post carefully. Use H1 coding as the title, which is the most critical SEO element of your post. Designate any subtitles with H2 tags, as they add the next most value regarding SEO in your post. Your title needs to contain at least one keyword placed thoughtfully near the beginning of the title. Meta description. This is a 160-character synopsis of the webpage’s content. While a meta description may not increase your ranking, a well-written meta description will entice the consumer to click on your link when it appears as a search engine result. Meta title. This is a 10-word or 70-character title of the webpage. This title should flow consistently with the meta description. The title is the clickable link the consumer will see. The most influential keyword should be at the beginning, such as the brand name or the product. The direct relationship between a company and its consumers is vital to small business success. Content plays an essential part in the enhancement of that relationship. Business blogs, in particular, are a great way to expand upon this relationship dynamic by directing traffic to your website. With engaging content on your small business’s blog, consumers have an opportunity to review your website for answers to their questions. Through written words, the consumer gains a better understanding of your business and what your brand’s fundamental values are. Good content compels the audience to share your work across various social media platforms, extending your circle of influence. Blogs also open up a direct line of communication between your business and your consumer. The comment section of the blog is a great way to find out what your customer’s needs are. Review the comments for any specific concerns that your audience suggests. Comments are golden if you approach them with the correct mindset. An upset customer is still a customer. It’s the customer who no longer follows your business that you may have lost forever. Good web content can nominate you as an expert in the products or services your small business offers. A business blog assists you by creating an outlet to share your knowledge. Here are four fundamental ways to establish yourself as an expert using your business blog. Highlight. If a professional company recognizes your business, then make sure to mention the accolade in a blog post. Positive accomplishments can go a long way when it comes to earning the trust of your consumer. Divulge. Customers appreciate honesty. Consider making it an absolute rule to always be open and honest with your audience in regards to your products or services. Never promise something that you cannot deliver. Share. Create a blog post periodically sharing the success of other customers. Customer success stories and customer testimonials help to increase your credibility. They notify your consumers that you have already solved problems for others. Uphold. Stay consistent with your blogging efforts. Customers begin to look forward to enlightening blog posts as you set a posting routine. Your reputation as a small business owner is not something you can afford to take for granted. Taking the time to add content of value to your business website with a business blog is a way to ensure success in your online business. If writing is not your favorite past time, but you realize your business is in need of great content, Copypress is waiting to assist you. The written material on your site speaks louder than any words you say.